Hum Paanch is all set to return to the small screen with a third season, titled Hum Paanch Phir Se. 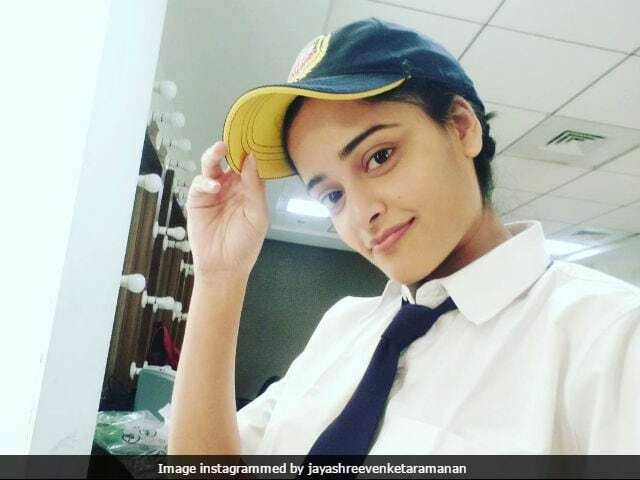 Speaking to news agency IANS, actress Jayashree Venkataramanan, who will portray the role of Kaajal bhai in the show, said that she feels 'happy to bring smile to people's faces.' "This light hearted show is surely going to win people's heart with its humorous motif. Each episode of the show promises to entertain the viewers and tickle their funny bone. I am happy to be a part of a show which will bring smile to people's faces," IANS quoted Jayashree as saying. "In today's era we see people living a hectic and stressed life, light-hearted shows like Hum Paanch Phir Se add an entertainment quotient to their daily life. It is a pleasure and a moment of happiness to add value to people's life through shows. Hope the audience likes and enjoys the series,"Jayashree told IANS. Actress Ambalika Sapra will be replacing Vidya Balan, who portrayed the role of Radhika in the original series. The first two seasons of Hum Paanch were produced by Ekta Kapoor. However, Essel Vision Productions, who are the makers of shows like Dance India Dance and Maharakshak Devi, will be producing the third season of the show. Hum Paanch Phir Se will reportedly have a new cast. Hum Paanch was a popular comedy show, which was first aired in 1995. The show revolves around the Mathur family featuring five crazy daughters, two loving mothers and a middle class father, who is often upset with the mischief of his daughters. Hum Paanch starred Ashok Saraf, (Anand Mathur) and Shoma Anand (Bina Mathur) as parents with Vandana Pathak (Meenakshi), Vidya Balan (Radhika), Rakhee Tandon (Sweety), Bhairavi Raichura (Kajal bhai) and Priyanka Mehra (Choti) as their daughters. The first season of Hum Paanch was aired until 1999. The series returned for a second season in 2005 and ran until mid-2006.